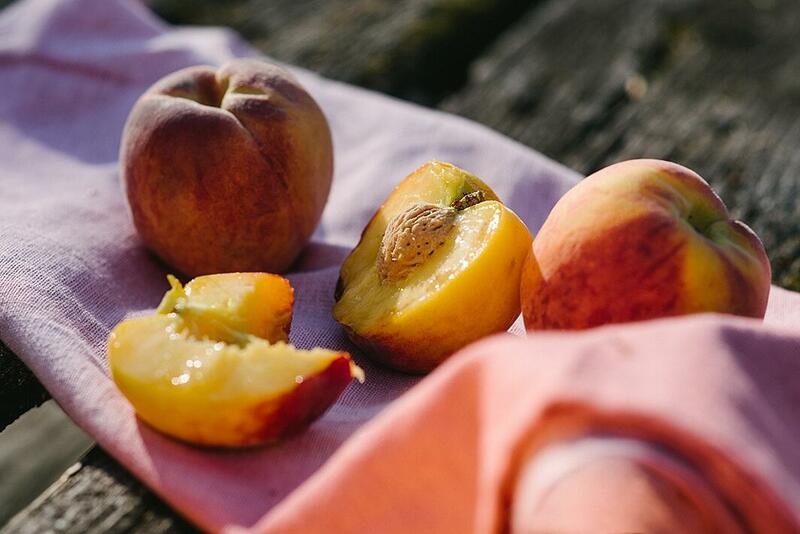 Stone fruit has an element of nostalgia, bringing to mind memories of sweet, sticky hands on a hot summer day—picking through pint containers of little yellow-orange fruit at the farmers’ market and popping open vats of aromatic preserves put by for colder times. Luckily, we don’t have to wait until peak summer in New England to enjoy organic stone fruit season! Organic apricots, plums, pluots, peaches and nectarines are all closely related to each other, and belong to the same plant family as cherries and almonds. With their many-colored skins and firm, sweet fruit, no wonder it can be hard to tell them all apart. 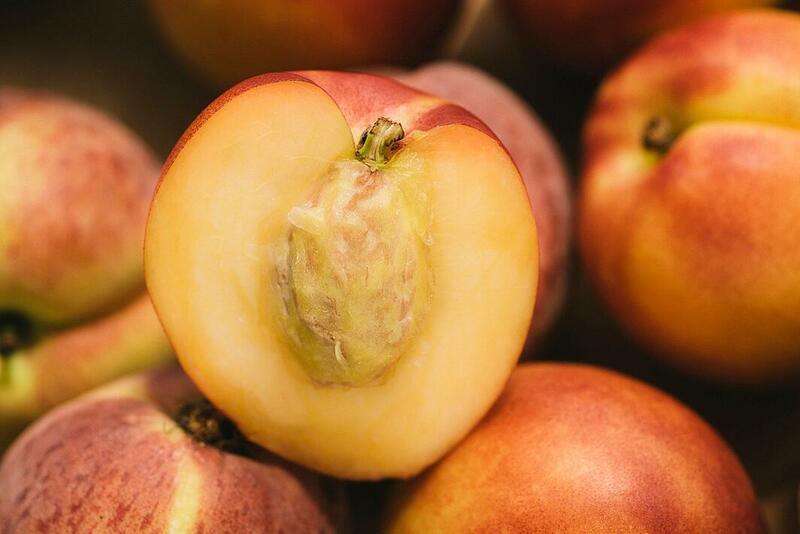 We are thrilled by the arrival of stone fruit season, and excited to share the wonderful variety that this entails. The single large seed found at their centers gives stone fruit, or drupes, their name. Some stone fruit like peaches and nectarines are regularly included in the Environmental Working Group’s Dirty Dozen List because their thin skins readily absorb pesticides. 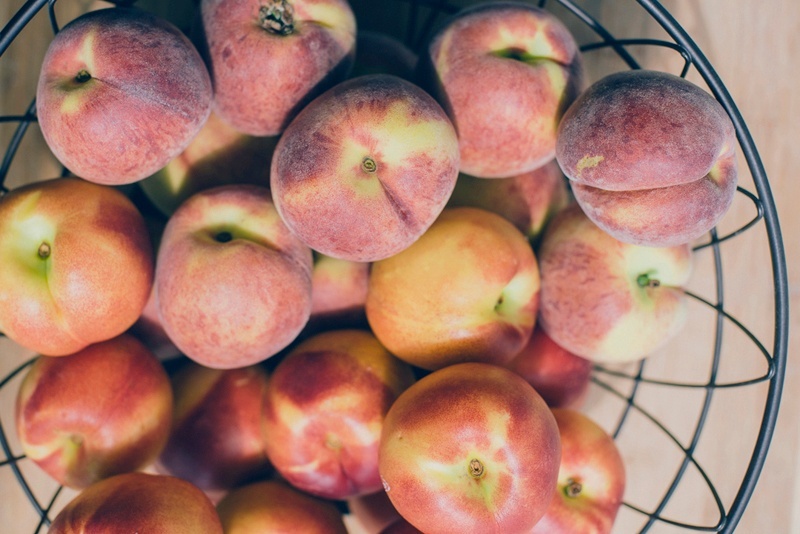 The stone fruit Boston Organics delivers is always certified organic, but be sure to double check the label when purchasing it elsewhere to avoid chemicals used in conventional agriculture. These fruits are most delicious when just slightly soft to the touch, and can be helped along in ripening by storing them together in a paper bag. Store ripe stone fruit in the fridge, but be sure to let it come to room temperature before eating for the best flavor. Our favorite way to enjoy a pluot or peach is at room temperature with the juice dripping down our arms (or not, as in the case with a perfect apricot). Read on for descriptions of different varieties and some favorite recipes. 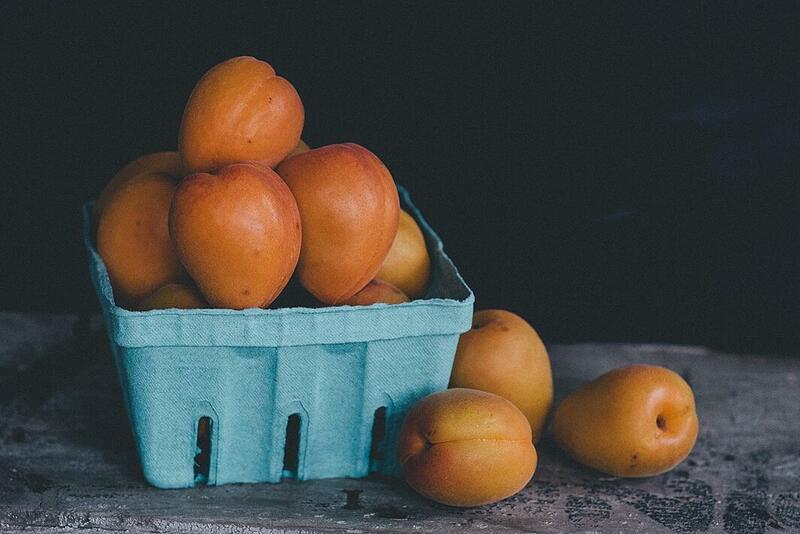 Apricots are among the smaller stone fruits that Boston Organics offers, and are so delicious that you will definitely want to eat two or three as a snack. They have velvety bright orange skin, sometimes with a red blush, and firm, sweet flesh. 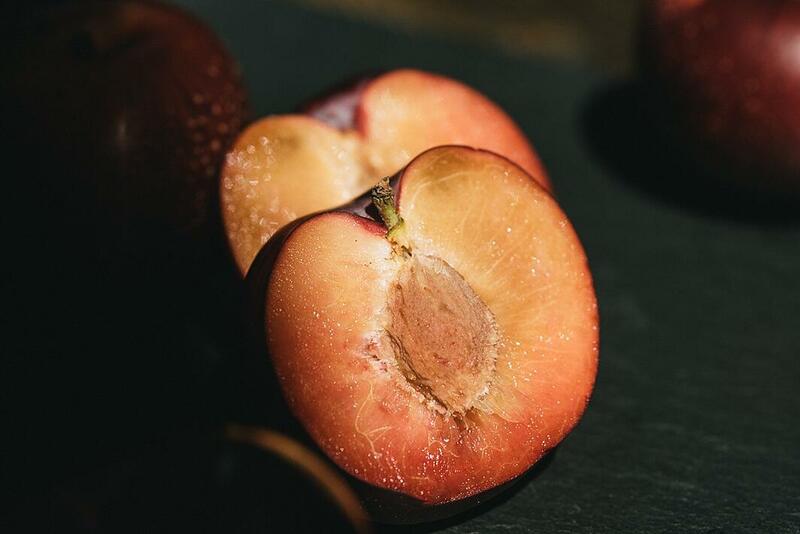 Unlike other stone fruit, organic apricots are not particularly juicy, though their flavor, somewhere between a plum and a peach, will blow you away. The Latin name for apricots is Prunus armeniaca, or Armenian plum, but they are actually thought to have originated in China or India. Apricots thrive in dry climates with cold winters that allow for a period of dormancy. Our Favorite Recipes: For a perfect warm-weather dessert, we love this Apricot-Blueberry Cobbler. But apricots, and other stone fruit for that matter, aren’t only relegated to the dessert table. Wow your dinner guests with Savory Apricot Bites, made with tart goat cheese and pistachios or pine nuts. Plums come in a rainbow of colors, and all are plum-wonderful! Depending on who you ask, there are 19 to 40 species of organic plum, and even more cultivated varieties. They range in color from green to yellow to deep purple to red, usually with yellow or red flesh. Plums are often both sweet and tart, with a mildly sour skin. The fruits also vary in size, ranging from one to three inches in diameter, and may be oval or heart-shaped. A white film may be found on the skin of organic plums. This is known as wax bloom and is produced naturally by the fruit itself as a way to decrease moisture loss (a similar bloom can also be found on grapes). This wax can be wiped off before you take a big bite of your tasty plum. Our Favorite Recipes: Longer days mean more time for luxuriating in the sun in the evening. Enjoy the twilight with a Summer Sage Cocktail, which beautifully combines the warm flavor of fresh sage with the tart sweetness of plum. For a themed evening, prepare a Roast Pork Tenderloin with Thyme-Scented Plums for dinner. A pluot is one of many plum and apricot hybrids. Organic pluots are the result of breeding plum trees with plumcots, themselves a product of cross-breeding. 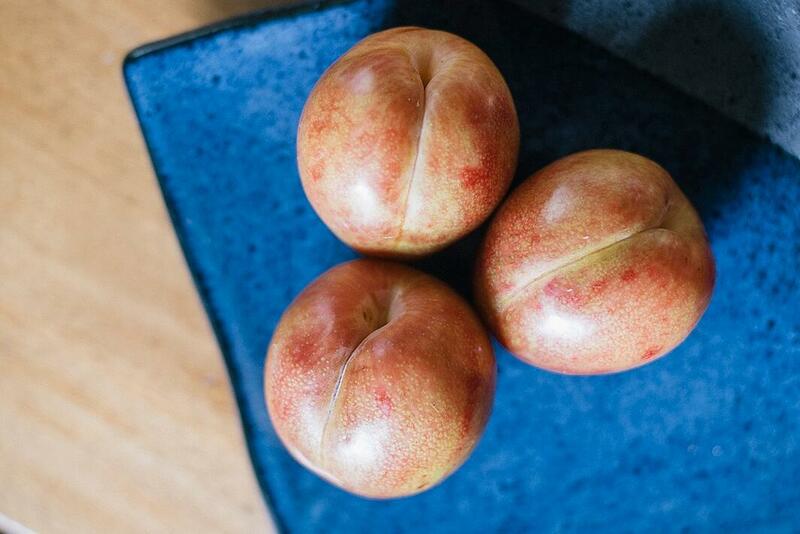 As a result, most pluot genes come from plums, yielding traits such as their smooth skin. Pluots are wonderful, juicy and flavorful, but not too fragile. They are also constantly changing. Growers are experimenting and making new varieties available every year. Check out our blog post about this special fruit to learn more about why hybrid fruit are not the same as GMOs. Our Favorite Recipes: Cook out with organic pluots! We love Savory Grilled Pluots as an appetizer or accompaniment to meat or fish. Make a batch of herby Pluot Jam to help you through the cold winter months. Peaches are known for their yellow-orange soft fuzzy skin and sweet, juicy flesh, which ranges in color from white to rich yellow. Though most commonly found in a generally round shape, donut (also known as UFO or plate) peaches are flatter, and more closely resemble an inner tube. Though there are many varieties of organic peaches, they fall generally into two categories: freestones and clingstones. The flesh of freestone peaches separates easily from the pit (as in the photo above), while the flesh of clingstone peaches is tightly attached to the pit. Our Favorite Recipes: Cool down on a warm day with homemade Peach Sorbet. This recipe lends itself to creative experimentation, so go ahead and mix in some ginger or bourbon for a unique treat. Grilled Peaches, Gorgonzola and Danedelion Greens make a satisfying but not-too-heavy summer meal. If you’ve ever had the thought, Gee, nectarines are just like peaches but without the fuzz, you were having a good think! Nectarines are the same species of plant as peaches, but they have a smooth skin. (If you want to get a little plant-nerdy, the fancy name for the hairs on a peach is trichomes.) Organic nectarines can have white or yellow flesh, and can be freestone or clingstone. They tend to have a redder skin than peaches. Our Favorite Recipes: There’s nothing quite like a well-composed open-faced sandwich, and these Summer Tartines with Mozzarella, Basil and Nectarines are a perfect blend of sweet and savory for a refreshing lunch or appetizer. Spice things up the next time you decide to fire up the grill with this Grilled Corn and Nectarine Salad with Toasted Spice Vinaigrette.